Autumn is a season when we do loads of experimentation with both our looks and hair. We all go for that dare to flaunt and different look which is not suitable for summers. We experiment with our lipstick shades, bring out all the dark and vampy colors like deep plum and wine. And when it comes to hair style, we are all ready for trying something out of the box. We curl, make tongs and even go for poker straight hair. Hair coloring is also must during this time as this is the time to flaunt the wild you. Always oil your hair before applying shampoo. Now this we all know right? Even we follow this for the entire year. So whats so special about it? Autumn is the arrival of winters and the departure of summer. So this is the time when we have dry hair with a sweaty scalp.. Even Dandruff takes a toll on the scalp health. As a result hair fall is a major issue. If we app;y oil to our hair it will make the hair nourished and will keep dandruff at bay too (Dandruff is generally caused by an unhealthy and dry scalp). Mix Coconut Oil, Almond Oil and Castor oil in equal proportions and heat it a bit by putting it into hot water bowl. Don't heat it directly as it may catch fire. Apply this hot oil generously on the scalp and lengths. Leave on for an hour and wash off with a mild shampoo and conditioner. Nothing beats a great hot oil massage and it will surely soften those harsh and dry tresses. Applying a conditioner is a must this season. Conditioners are great when it comes to making hair soft, frizz free and a lot more manageable. Don't apply conditioner to the roots as this may make scalp oily. You can also apply Egg White as a conditioner mixed with Curd. This will not only help to cure the frizz but will give you a natural shine as well. Applying shampoo is a must but make sure not to over wash your hair. Try to apply shampoos that are mild and free from chemicals like S.L.S and Paraben. These chemicals do nothing good but just harm hair follicles in the long run. Wash your hair 3 times maximum in a week as this will help in maintaining the natural oils in hair which will keep dryness at bay. Hair Serums are a must this season. Leave on hair serums not only add that extra shine and lustre but also helps de-tangle hairwhich prevents hair breakage. It keeps hair soft and smooth and even protects from external damage. We all style our hair with different heating tools but do we know how much it harms our hair? Fall is the season to experiment but as always prevention is better than cure. Heating tools can seriously damage our hair if used without precaution. So a heat protection spray is a must. Many brands have their own one but I really love the Tony & Guy one as it is really effective in its work. Now comes the Hair Mask part. Hair Masks are really important for our weekly hair care regime. We need food, our skin too needs food so why not our hair? Hair Masks should really contain some essential ingredients that can provide nourishment as well as make hair healthy. Now different hair masks are available in the market but none can beat the home-made one as it has 0% chemicals and 100% effectiveness. I am sharing a hair mask that does wonder to the hair and which according to me is really essential for this upcoming season. Take 2 tablespoon of Fenugreek Seeds and soak it overnight. Mix Curd, Aloe Vera gel and Vitamin E capsule to it. If you want a slight tinge of colour mix coffee powder too. Apply it for 1 to 2 hours and wash off. Try not to use a shampoo but if you do make sure it has less chemicals in it. See results in a month. Though it is a weekly mask it can be used for 2 times too. If you want to buy something in addition to this hair mask, go for a protein hair mask. You can also make one for yourself by mixing Egg White and Curd together. It will serve the purpose too. Hair Spa is a must if you want to colour or chemically treat your hair. You can go for some smoothing spa at the salon or can apply this simple method for getting spa like glow at home. Mix Argan Oil and Coconut Oil in equal amounts and apply on the scalp and hair generously. Keep on for 30 mins. Then soak a towel in a bucket of hot water and wrap that hot towel all around your head. Do this method once a week and see visible results in about a month. After that wash hair with mild shampoo and conditioner. Marula Pure Beauty Deep Moisture Hair Mask: Marula Pure Beauty Oil Deep Moisture Hair Mask is an intense conditioning treatment that will help rebalance your scalp and strengthen and improve hair elasticity, all while restoring essential moisture. This reparative formula will improve manageability and reveal luminous shine. The high levels of Oleic Acid (70%) enable Pure Marula Oil to break through the hair shaft and treat from deep within. 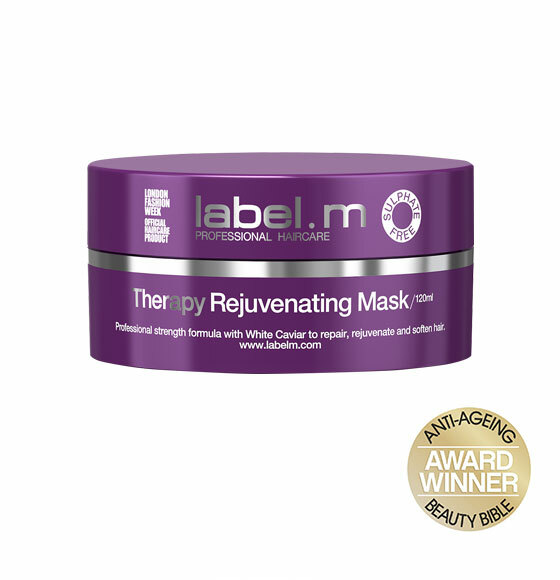 This luxurious mask is ideal for all hair types, especially those suffering from hair damage due to chemical services, heat styling and environmental exposure. Marula Pure Beauty Oil Intensive Repair Shampoo is a mild foaming intensive repair sulfate free shampoo infused with Pure Marula Oil that rebuilds and revives dry and damaged hair weakened by chemical processes, heat styling and environmental exposure by gently repairing each hair strand, restoring moisture and shine. Marula Pure Beauty Oil Intensive Repair Conditioner is a rich, intensive repair deep conditioning treatment that protects color-treated hair damage caused by the UV exposure and other environmental aggressors while sealing the hair cuticle to give hair vibrancy and shine. The ColorDefend™ Technology locks in color and cuts down dry time while the GlossySoft™ Reparative Technology adds unparalleled shine and smoothness for strong, healthy-looking hair. Goldwell Kerasilk Color Intensive Luster Mask is designed for color treated hair to add moisture and deeply condition for healthy-looking hair and long-lasting color depth and brilliance. It’s luxurious and makes my hair extremely happy. For less than the cost of one blowout you can wake up to healthy and styled hair day after day with The Sleep Styler. It is a state of the art simplified curling system used while you sleep. Sick of the old school rollers? Don't worry any longer cause Sleep Styler is here! The best part is the more you use it the healthier and shinier your hair will be. DAFNI is the original, patent pending, hair straightening brush. DAFNI will change your entire morning routine from 20-30 minutes to doing your hair to just under 5 minutes. It is the perfect hair tool for the fall to fight that annoying frizz from the cold and the humidity. Not only does it cut hair styling time, DAFNI is safer and easy to use. When chilly fall air strips moisture and shine from your hair, it’s time to step in with some deep moisture conditioning. 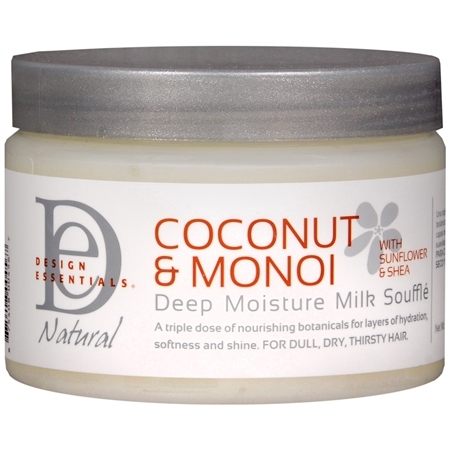 The Coconut & Monoi Deep Moisture masque is an intense, deeply penetrating hydration treatment that transforms dry, dehydrated strands to soft, moisturized hair with the help of Sunflower and Noni Fruit. Naturally extracted keratin protein fortifies and restores hair from roots to ends, without the use of parabens, parrafins, petrolatum, gluten, phthalates, DEA or TEA. RUSK® Anti-Frizz Spray : RUSK® Anti-Frizz Spray is a quick-dry working spray that weatherproofs hair against humidity for a frizz-free finish. RUSK® Anti-Frizz Spray creates an invisible barrier to style-busting humidity without weighing hair down, while providing color protection and strengthening hair. RUSK Smooth Foam : This product xtends your straight style through 5 shampoos without the long-term commitment and harsh chemicals of a straightening treatment. It helps reduce your blow-dry time by 50% and delivers long-lasting frizz-free straight hair while maintaining hair’s natural movement and style. RUSK Deepshine Color Repair Restorative Masque: This masque deeply penetrates the cuticle to help strengthen and repair damaged, stressed hair. Contains bio-marine ingredients and a patented UV-absorbing technology with antioxidant-rich vitamin E acetate to help shield hair color against damaging sun-generated free radicals, a leading cause of accelerated hair color fadage. RUSK Heatshift: A restyling cream with a unique shapeshift ability that allows you to change up any style without the need to shampoo or re-apply product. 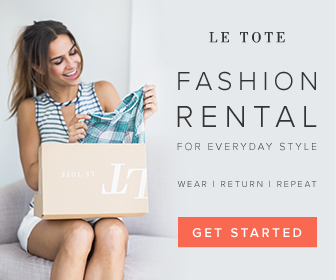 Activate and reactivate with heat or hot tools to heatshift any style, anytime and anywhere. RUSK Heatshift rovides color protection and strengthening benefits while reducing your blow dry and style time by 50%. The secret to protecting your latest blowout and combatting frizz is here- thanks to Static Schmatic. This all-natural, anti-staticspray that tames fly-away hairs while maintaining the clean air around you. It’s made with organic ingredients such as coconut oil, which enhances your hair's natural shine and smoothness. Static Schmatic is the go-to anti-static spray for top brands such as J. Crew, LuluLemon and Kate Spade. The natural formula goes undetected since it's free from harsh chemicals, odor & sticky residue. ABBA Smoothing Blow Dry Lotion is a 100% vegan and gluten-free smoothing lotion formulated with mango, hydrolyzed barley protein and a ProQuinoa complex to help strengthen hair and protect from heat styling. Use the Instyler Max 2-Way Rotating Iron for on-trend smooth waves. It’s not quite a curl, and not quite a wave. It has a more refined look, while still feeling like you are on summer vacation. The best way to achieve the look is using your InStyler MAX 2-Way Rotating iron and closing it around a section of hair at the scalp for 3 to 5 seconds to smooth the root. Move the barrel half way down the hair shaft and wrap the remaining length of hair around the barrel, leaving the ends out. Close the MAX for 5 seconds and then open and let the curl drop. Brush the curl out and set with your favorite holding spray. keep fall frizz and dryness at bay with Marc Anthony Nourishing Argan Oil of Morocco Dry Styling Oil. This exotic, fast-absorbing mist infused with Keratin, ultra-light Mediterranean Olive Oil and Argan Oil is designed to fortify hair and help correct damage, split ends, dullness and frizz with Vitamin E and Shea Butter. Hair is left nourished, revitalized and full of shine! What are some of your favorite haircare products this fall? Leave your ideas in the comments below!